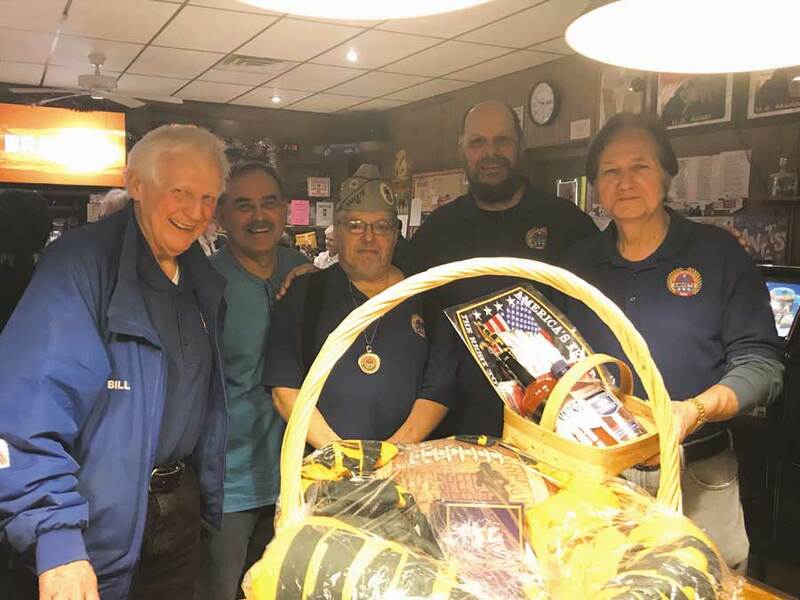 On March 2nd, Manitowoc AMVETS Post 99 held a fundraiser to help benefit the Sons of AMVETS Squadron 99 and Painting Pathways. Music was provided by Steve Thuss “Schnidrr” along with Silent Auction. It was a huge success. Pictured L to R: Bill Gamble, Steve Thuss, Terry Bruechert, David Spindler, Jr. and Commander Davis Reno.